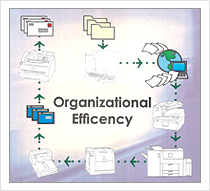 At Imaging Systems of Louisiana, we leverage today's technology to improve document management and print strategies to enhance productivity, improve efficiencies, and reduce overall expenses. Our site is being updated. You can have a look at our products by clicking on the link to Ricoh.com. When you're a locally-owned company and very active in the local community; it's never just business as usual. So, what makes Imaging Systems of Louisiana different from the typical document imaging company? Every time we interact with a customer, our reputation is on the line. Our standing in the community is at stake. Therefore, we put you, the customer, In Charge. Putting you in charge gives us the opportunity to learn about your business, your objectives, and to better help you achieve your goals. 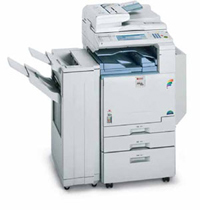 We offer Ricoh, the most innovative and reliable high performance document imaging technology in our marketplace. Plus, as a local company, we have the flexibility to design document imaging and print management solutions that will make you more productive while lowering your overall document imaging costs. By putting you in charge and backing everything we do with our exclusive "Written Performance Guarantees", you have the necessary tools to help you work better, more efficiently, and maintain your competitive edge. Ask yourself this question: do you now exactly how much you are spending on your company's printers, copiers, and related expenses? The answer given by more company's upper management is a resounding NO! Our job is to help your bring those costs under control Our goal is to identify your company's true printing requirement and costs, including your entire document output fleet and service/support expenses. Then, we work with you implement a print management solution that will dramatically increase productivity and ultimately save your business up to 60% on overall document output expenses. Customized Printing Solutions – A print management solution to increase productivity and overall efficiency. On-going Monitoring – To ensure a system that works with consistency and reliability. Access to New Technology – Helping you to take advantage of new opportunities to grow your business. More Revenue – Ensuring your system adds significantly to your bottom line. Contact our dedicated sales and support team specializing in document management solutions and services.Contact Us. © 2006 Imaging Systems Of Louisiana. All rights reserved.